Christmas Giveaways Day 4: Win HK-Inspired Watches from ChronoCuckoo! Tick Tock: Love Hong Kong? Us too. Ever thought about wearing that love on your sleeve — or in this case, your wrist? No, we haven’t, either. But we might just consider it with these new Hong Kong-inspired watches from ChronoCuckoo. 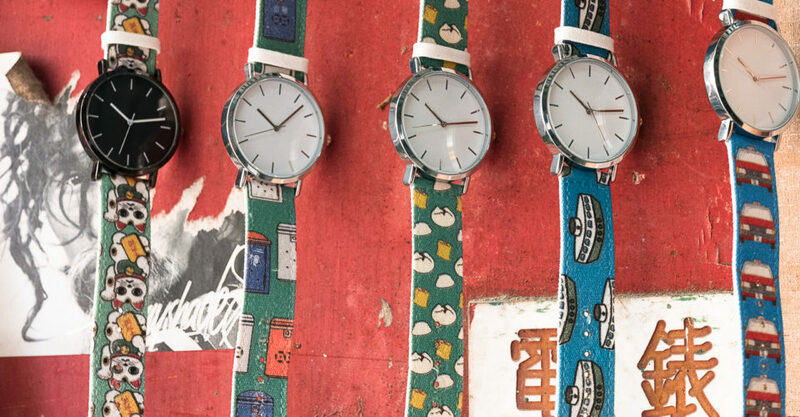 Watchmakers ChronoCuckoo have used designs from creative agency Funkeh to create a line of cute, quirky watches that showcase icons of Hong Kong. There are nine designs in the collection, each featuring recognizable symbols of Hong Kong like the Star Ferry, sailing junks, dim sum, and red taxis. The watches are all designed and printed locally in small batches, so you know you’re getting a unique, handcrafted product. Eight Hong Kong-loving readers will be wearing their love for the city on their wrists come January! ChronoCuckoo is giving away eight of their unique watches for Christmas, and you could snag one of these snazzy timepieces for yourself. Get ready to spend 2019 wearing a bit of whimsy every day — and being on time, all the time. Enter by December 11. Winners will be announced on December 24. Share this Giveaway with your friends for a greater chance to win! Entry form below. Don’t forget to like The Loop HK on Instagram and Facebook, and ChronoCuckoo’s Instagram profile and Facebook page. Written by The Loop HK for ChronoCuckoo.